The upcoming slate of 2018 summer programs for the National Hispanic Institute is likely to include more students from the New York City metro area, thanks to Zachary Gonzalez’s efforts over the last month. 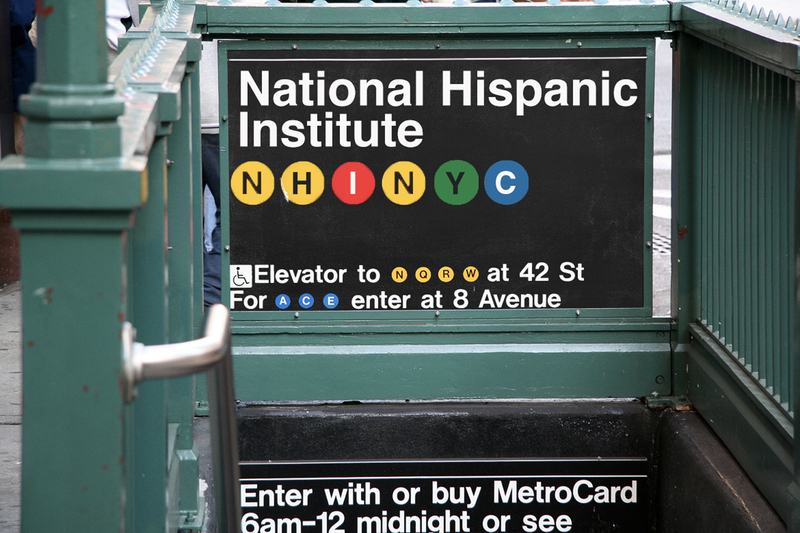 Gonzalez, NHI’s Assistant Vice President, has spearheaded NHI’s efforts to prioritize recruiting within NYC, as well as into New Jersey and into the upstate New York region served well by the University of Rochester, the host institution for NHI’s New York LDZ program. In the last month, on two separate trips to NYC, Gonzalez met with and presented to more than 20 schools, and also met with the Archdiocese of New York to strengthen NHI’s ties with the Archdiocese’s Catholic schools. NHI Executive Vice President Nicole Nieto also traveled out to NYC to meet with Archdiocese representatives and participate in a community-wide event. Students from throughout the New York City metro area will begin applying October 31st for their candidacy to 2018 programs. Schools and students will continue enrolling throughout the Fall, which could yield NHI’s highest Northeast membership in the last five years. “At the end of the day, community development has nothing to do with us developing communities, but communities developing themselves,” added former Tip of Texas Head Coach Jorge Lee, currently an undergraduate at Columbia University, and one of the newest additions to a growing network of NHI alumni in NYC. For more information on joining our New York campaign, please contact Zachary Gonzalez.